Hugh Cook was born in The Hague, The Netherlands, and immigrated to Canada with his family in 1950. Hugh earned an M.A. from Simon Fraser University and an M.F.A. from the Writers' Workshop at the University of Iowa. His first literary output consisted of poems published in Canadian literary journals such as Quarry, Canadian Poetry, The Canadian Forum, Folio, and The University of Windsor Review. His stories have appeared in literary journals such as The Malahat Review, NeWest ReView, Wascana Review, Descant, Fiddlehead, and The Antigonish Review. 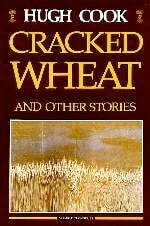 His first book, Cracked Wheat and Other Stories, appeared in 1985.
translation under the title Een Man Komt Thuis (Mozaiëk, 2007). 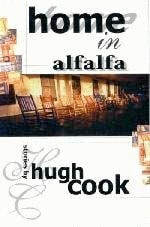 Hugh’s third book, a book of linked stories titled Home In Alfalfa, appeared in 1998. It was awarded first prize in the City of Hamilton Book Awards in the fiction category, and The Word Guild named it co-winner of first prize in the fiction category for books published in 1998. Home In Alfalfa has been adapted for stage, and the play had its premiere as the mainstage production in November, 2007 in Redeemer University College’s 2007-2008 season. Theatre companies interested in staging the play should contact Hugh Cook at the email address below. 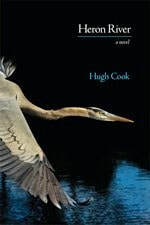 Hugh's fourth book, a novel titled Heron River, was released in December 2011. It has appeared in a Dutch translation under the title De tuin van Adam (Mozaiëk, 2015). The Word Guild named Heron River first prize winner in the Contemporary Novel category in 2012. 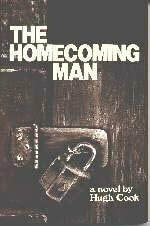 In 1997 The Word Guild of Canada awarded Hugh the Leslie K. Tarr Award. Hugh is emeritus professor of English at Redeemer University College. I'm a writer myself, so I understand the writing process from the inside. I’m frequently asked to offer workshops on various aspects of fiction writing at writers’ conferences. I’ve worked with young writers and older writers, beginning writers and experienced writers, fiction writers and non-fiction writers.